#1) My Very First Post. First let it be heard all across the land that I’ve almost deleted my first post many times, but something in the back of my mind keeps saying, “Aw, how cute” every time I read it. I confess that my very first post was about . . . . . chocolate shoes. I remember sitting there at my computer, stumped about what to write about (in hindsight, why???) and going to Google images and typing in the word ‘chocolate’. Somewhere between the third and tenth page, this image (pictured right) came up. So I wrote about it. Right here. My favorite thing about that first post is the one and only comment from across the sea. Now that you’ve read my very first post, we shall speak of this no more. It’s unlikely I will ever write about chocolate shoes again. Although *confession* they are fabulous. #2 The Post I Enjoyed Writing the Most. This is really challenging question to answer. This online journal of my adventures allows me to connect with people across the globe that I’d never ever meet in my lifetime. It’s really extraordinary. I enjoy writing just about all of my posts, although some days I am sillier than others, like this one about fuzzy pillows. It’s too hard to choose any post I enjoyed writing the most, so I’ll select this post at random. It stands out only because I forced myself to step away from my computer by traveling to a scenic spot where I truly appreciated the beauty in nature, and focused on what I really wanted in my life. #3) The Post that Had Great Discussion. It’s no secret that spray paint and I are BFFs. One of the articles I wrote way back when that initiated some good discussion, was this article on Spray Paint: Pros and Cons. Feel free to chime in and offer your two cents. #4: A Post on Someone Else’s Blog I Wish I’d Written. I had to dive deep into my Google Reader to find this one, since there are over 100 starred in my archives. Here’s a good one: Ten Tips that Will Take Your Home Design Blog to the Next Level by Maria at Colour Me Happy. Honorable Mentions: Pink is their Signature Color by PW; Eye Lift by Katie at Bower Power; Picking the Right Paint Finish by Young House Love; What My Mother Didn’t Give Me by Clover Lane. #5) My Most Helpful Post. Gosh, I really don’t know. That depends on who the heck is reading/Googling/suffering from insomnia/looking for something worthwhile to read around here. My most helpful post is really a subjective call. But, if there was some sort of ranking based on learnedness I guess maybe just maybe this article about building your own laundry room drying rack just might qualify. If you Google “DIY Laundry Room Drying Rack”, the article appears at the top, and has been ‘borrowed’ by many other sites, and even featured on Apartment Therapy last year. Plenty of folks have written to me, telling me they’ve built their own version, most recently Kimberly at Attempting Creative built this yellow version, love ! #6) The Post With a Title I’m Proud Of. Hmmm. This is my ornery side speaking, but I think that would have to be the title that brought on the scandalous spam. Can you guess ? A Tale of Two Strippers. Which almost qualified for a ‘most helpful post’ because the thankful feedback on that study of strippers continues. #7 The Post I Wish More People Had Read. I answered a reader inquiry back in May of last year that had some basic decorating tips for someone who was starting out redoing a space, but frustrated that she lacked the vision to pull it all together. I still subscribe to these tips in this article. Pay particular attention to #6 ~ it’s a bit of eerie foreshadowing, given our latest living room upgrades, and proof that if you put your mind to something, you really can achieve it. Now let me ask you, what’s your favorite post YOU have written or read ? Fellow bloggers, please tell me in a comment the post YOU are most proud of. 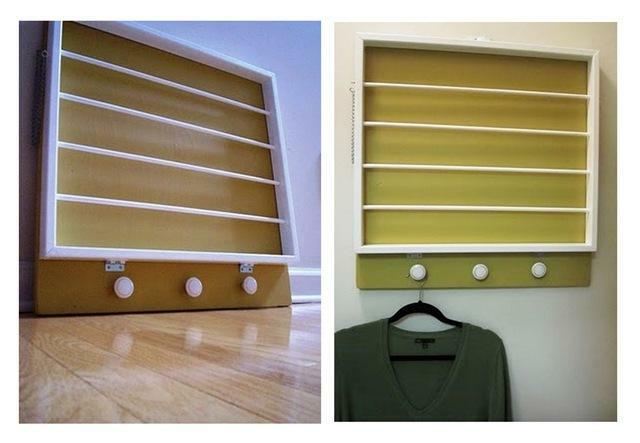 A fantastic DIY project ? A scrum-dilly-umptious recipe ? Tips on doing something (anything) better? A poignant reflection on life ? Bring it on, because I truly can’t wait to read it. Readers (Non-Bloggers), please leave a link to any helpful or funny or interesting or informative thing that you have read online this year. Go on ~ peruse your bookmarks. Link up your favorite morsel you’ve found on the web, even if it’s simply your strange fascination with Lindsay Lohan’s looming jail sentence. I won’t judge. Well, maybe I will, just a little. My favorite past that I have written so far (there are only 3 ;) ) is this one: http://sheismysister-debra.blogspot.com/2010/07/craft-fail-yellow-knit-sweater.html. I think that it allowed me to have a sense of humor about something that did not work out; and since I have a tendency to be a bit of a perfectionist I found this surprisingly refreshing. Another great post for you, CG! Thanks so much…. Kate! What a great post! I’ve never heard of ProBlogger, so I’m going to have to check it out. Thank you for sharing. And thank you for sharing these great posts of yours–I’ve read most of them, but now I’m going to go back and read the ones I missed. I’ve only started blogging three weeks ago so to date my favorite post would have to be Laundry Room Redo. I was inspired by your own laudry room project (http://petiteflower.wordpress.com/2010/07/15/laundry-room-redo/) and even had my friend’s husband make me a drying rack. My favorite post to read was probably your post about the bejeweled wine glasses. I thought they were beautiful. I made several sets to use as end of the school year teacher gifts. they came out great, thanks for that one! oh, and my favorite posts of yours would be the Tale of Two Strippers (I should bookmark it, I alone have probably driven that to the the top of the google search) and your daughter’s bedroom. seriously Kate, why can’t you translate your blog into Italian?!?! lol, that is the most bizarre thing I have ever read. I had never of Problogger I’ll have to check them out. I’m a faithful reader of yours, I love all of your posts, so I can see why you had a hard time picking one. I just recently started taking my blogging seriously and I would have to say that my weekly Bloggy Friends Roundup posts are my faves ’cause It’s my way to bookmark other bloggers that I will need to find later! because from what I can see it’s a pretty original idea, and I love coming up with something new! Great post, I really enjoyed reading all the posts you linked to. I guess the post I like best on my blog my first tutorial or how to, a DIY fountain. My husband and I enjoy the fountain every evening as we sit on the back porch. It’s about my grandma, and I still miss her so much that it was hard to write. I’m pretty proud of my very 1st post. I was sooooo reluctant to begin blogging for fear of having nothing to say or offer the world but when I look back on it, it was very authentically me & I’m not anything if I’m not authentic so I was pretty pleased with that one :-) Hope you have a great weekend! For many years I have told myself that I should keep a journal. I have even day dreamed about the first entry. So after many years of dreaming, I decided to start a blog. A beautiful combination of my desire to journal and also a great way to share my creative steam with the world. I never knew just how rewarding it would be, or how many talented people I would connect with. It is food for my soul. One of my favorite posts was “Hello World” where I debuted the handkerchief bonnet made for my best friend’s first born. I used pieces of her wedding dress, a snippet of my maid of honor dress from her wedding, and even ribbon from her mother’s wedding bouquet! I too have only been blogging a very short time. And, have been so busy with projects since that I haven’t had much time to post anything. But, hope to change that soon. I think my favorite post thus far was “Springtime Visitors”…my younger daughter took some fabulous pictures of all our animal friends that came to visit our backyard in early spring. I *just* started blogging in March so I don’t have much to pick from. But it always amazes me which post people choose to comment on. Some days I get 200 hits and only one comment. Seriously? ONE COMMENT?!?! Then other days I’ll only get 8 hits and everyone comments. And I know what you’re thinking… 200 hits? You probably get that many before 5 am. I saw you featured in one of my Canadian home decor magazines (either Style at Home or House and Home. I was thrilled to see it, not only because you are more than deserving of such recognition, but I feel like I’ve been here for most of the journey. Way to go, and heck, a first post about chocolate…I’d say its a totally appropriate way to start things off! I’m not a committed blogger by any means, and yet I have two. One for family and one to document our journey with a food allergic child. Sometimes, a whole year has gone by before an update. Most recently, I had good reason to update and did! We’re still riding the wave of good things and this post will forever be one of those milestones that I remember as a parent FOREVER. Thanks for the ProBlogger tip. I love the idea of hearing directly from your top bloggers what their favorite content is. I did giggle a little at your chocolate shoes first post, but we’ve all got that first post out there. You don’t get to where you are today without starting off somewhere, right? The post that I am most proud of would be the one where I re-did a pair of free Craigslist dressers. It was a funny experience going to pick them up and I was super happy with the finished product. Hi Kate – thank for the opportunity to share the post I’m most proud of. I had a really hard time deciding which one to choose, but I think I finally narrowed it down. here’s my link for my Top 10 Secrets to Making Pizzeria Quality Pizza at Home. PS – My favorite post of yours was the staircase transformation. I’m still in awe over that one! My most helpful post is Four Ways to Repair a Beeping Smoke Detector http://condo-blues.blogspot.com/2008/07/we-interrupt-this-post-for-fire-alarm.html. It was a very early blog post but has been in my top twenty most popular posts since the day I wrote it. I had no idea that so many people have been woken up in the middle of the night by a false smoke alarm! What a fun post idea! I love your laundry drying rack! So clever! My favorite post so far is probably my laundry room redo and custom w/d riser (http://findingmyaloha.blogspot.com/2010/07/laundry-room-reveal.html) just because it was such a big project and I am so proud of it! Funny note: I think we were both wainscoting at the same time! Thanks for the visit today. I’m always happy to feature you b/c I admire your style so much. :) Happy weekend! It was the most truthful post I’ve ever done. I think most of my work has been down hill from there. Like The Land Before Time….well, hopefully not THAT bad. This post is kind of a fun one, it’s describing when I won Novice Teacher of the Year, bought some clothes and we made over our basement area in our new home! Readers can see other DIY projects or decorating around the house under my DECORATE button in the navigation bar! Stop by One Fine Wire any time, folks! I hadn’t heard of problogger, I’m going to enjoy looking through that site! I love this idea. I’m going to do one on my blog as well – imitation is the sincerest form of flattery after all. I always wonder why some posts spark more comments than others (for that matter why some blogs do as well). I’m off to check out Problogger. Thanks for such a fun post. Enjoyed Writing – http://twobirdsoneblog.blogspot.com/2010/07/americana.html Really I most enjoyed taking all of the pictures…I took over 500 in 4 days! I love the comment on your first post. And I’m amazed that you do what you do with three kids! http://makemydayuk.blogspot.com/ I am most proud of my first and only blog post of my brand new company!! It has no comments and one follower! Who knows I might get 5million hits like my fave centsational girl one day!! love your blog kate! My latest post is my worst after long absence. I tried to weather all the odds and tried to write my best because it’s my blogversary this month of July. What matters is, I’m back and I found you! Happy SITS Sunday! I thought I’d read most of your posts, but I missed a couple of these. One of my most popular posts was an idea I came up with for fall decorating. I used decorative nails to create a monogram on a white pumpkin. The project takes less than 15 minutes, but it made quite a splash. I love me a quickie project! I have been so inspired by your blog and a few others that I have started my own blog. We just moved to England and I am excited to write about insider tips and other interesting tidbits about London. Thank you for the blogging tips – perfect timing for me : ) You are appreciated! Thank you so much for sharing this! Your blog is very inspiring, and I enjoy reading it on a daily basis. I have to say, I’m pretty proud of most of my blog posts. Not because they are particularly interesting or well written, but because they help me document the immense amount of work I’ve done on my home in the last year. However, I’m really proud of this project I did and blogged about. It’s an old medicine cabinet that I rescued from a house that was being torn down when I was like 14 or 15 and finally refinished when I bought my hosue. I love the fabric I used and it’s such a nice surprise when I open the cabinet to get out my toothbrush or my comb! New to your blog and really love it. I especially loved your knockoff Dorothy Draper. My favorite posts are the ones I don’t expect anyone to notice and they end up being the most commented on. Funny how that happens. Glad to have found your blog! Ok, I realize you posted this ages ago, but I finally did my 7. You can check them out here.